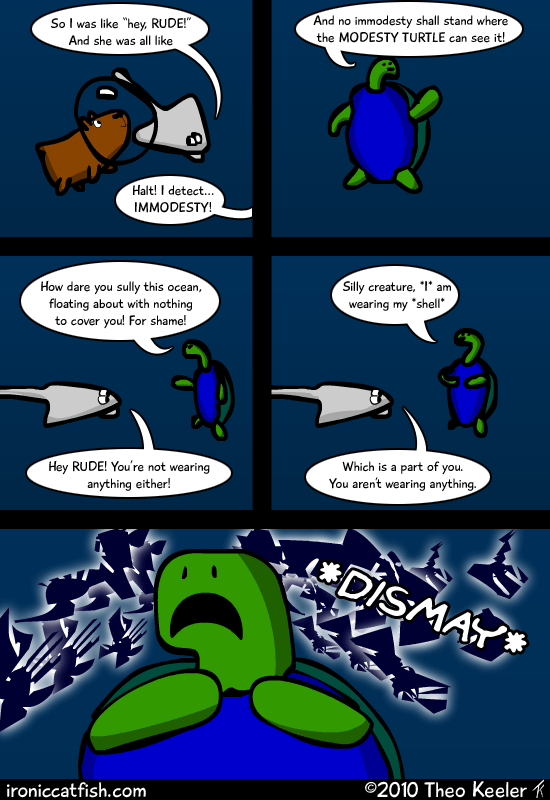 Silly Modesty Turtle. Now you'll need a new job. I love this one. Modesty turtle's immodesty being revealed to himself is awesome.